When is an “image right” not a right? And how has the ATO found a way of dealing with this dilemma? Image rights for sports stars are very big business in Australia, as recent ATO rulings and guidelines have recognised1. Names, images and likenesses are becoming more and more valuable, so likewise managing rights, licensing and taxation are becoming more and more important to the stars involved. Properly structuring corporate vehicles for the protection of both assets and income streams is crucial in this burgeoning economic environment. The interesting aspect of this situation is that, in Australia, there is no legally recognised “image right” and protection of a celebrity’s image is not a specific cause of action – unlike other countries, such as France, Germany, Spain and the USA, where image rights have specific legal status as proprietary or privacy rights. Instead, in order to protect a celebrity’s image, a mixture of traditional causes of action are relied upon – including passing off, breach of Australian Consumer Law, defamation, trade mark and copyright infringement. This was recently demonstrated when Rebel Wilson succeeded in a defamation action2 concerning articles which appeared in Woman’s Day, Women’s Weekly, OK Magazine and New Weekly. 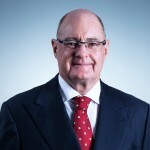 Despite this, the ATO have recognised image rights as contractual rights between sports stars and third party licensees and have recently proposed a practical way of dealing with apportioning income to image rights. 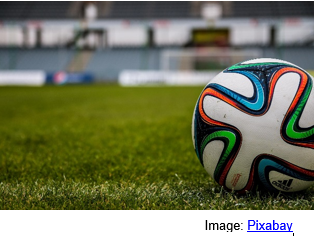 In the absence of a legally recognised right, are the corporate taxation structures that have been assigned image rights in Australia a legitimate means of protecting a sporting star’s image, name and personality, and the income derived from them? The ATO has accepted that a sportsperson can grant a licence to a third party for the use and exploitation of his or her image rights1. the payment is not income from copyright, trademarks or registered design rights licensing, which would normally attract a royalty. The draft Guideline is not intended to apply to arrangements which evidence a commercial market value basis for determining the quantum of any payment for the use and exploitation of the professional sportsperson’s ‘public fame’ or ‘image’ which are supported by contemporaneous documentation. in the case of a trust, at the tax rate of the beneficiary who receives the income. Generally, professional sports clubs pay a proportion of a player’s remuneration for the right to use a player’s image, which is allowed for in the ATO Guideline as being up to 10%, although the actual amount may exceed this in practice and is to be assessed in each case on the ‘marketability’ of the individual, a task which the ATO recognises may not be easy. It is estimated that cricket stars like David Warner and Steve Smith, earning around $2 million annually, could receive an after tax benefit, So this has been a significant economic move by the ATO. The rationale behind the Guideline to to provide a ‘Safe Harbour’ of 10% to recognise that players are additionally “compensated” for the large amounts of money that their clubs or organisations make from the exploitation of their images, throughout their playing lives and beyond. A notable example of the value this can involve is the Real Madrid Football Club, who, when they signed David Beckham, estimated they recouped much of his £24.5 million transfer fee in the first nine months of his contract in jersey sales alone – that’s a lot of jerseys. The Draft ATO Practical Compliance Guideline also comes in the wake of the announcement by the Australian Cricket Players Association, during their remuneration dispute with Cricket Australia (CA), of the establishment of a new business entity “The Cricketers Brand” to house the marketing and media rights of players, which are currently owned by CA. Players have agreed to licence their names, voices, signatures, trademarks, images, likenesses and even “performance” to the new company. The future of this entity may be in doubt following recent settlement of the dispute, but was perceived as a powerful negotiating tool during the prolonged and heated negotiations. The use of separate entities to receive income from the exploitation of image rights for tax purposes is relatively common elsewhere in the world where image rights are more firmly established as part of the law. USA: generally speaking, image rights are legally recognised and protected as a ‘right of publicity’ in many of the States including, unsurprisingly, the home of Hollywood, California. France: image rights are derived from Article 9 of the French Civil Code which confers a general right of privacy. Germany: Articles 1 & 2 of the German Constitution protect image rights. Spain: image rights are guaranteed by the Constitution and governed by the 1982 Civil Act on the Rights to Honour, Privacy and Image. football superstars such as Lionel Messi, Cristiano Ronaldo and José Mourinho have been recently called on to explain their image rights earnings, which were directed, partially or wholly, to entities in off-shore jurisdictions. In the UK, the position is similar to Australia – there is no legally enshrined proprietary or privacy image right. For example, when Hello! Magazine published photos of the wedding of Michael Douglas and Catherine Zeta-Jones3, the couple were forced to claim for breach of confidence, invasion of privacy and breach of the Data Protection Act rather than a breach of their image rights. However image rights in the UK are recognised for tax purposes by Her Majesty’s Revenue and Customs (HMRC), as arising from a contractual arrangement between a sportsperson and other parties. In the leading case of Sports Club PLC v Inspector of Taxes  STC (SCD) 443, HMRC challenged the contractual arrangements between the Arsenal Football Club and two of its players David Platt and Dennis Bergkamp. HMRC argued that their image rights arrangements had been artificially inflated to enable the Club to pay players a higher salary by way of tax savings. HMRC’s arguments were unsuccessful and the Club succeeded in having the payments, which were made to off-shore companies, classified for tax purposes as being properly made with respect to commercially identifiable image rights. They were not therefore taxable as player income. In the new Draft Practical Compliance Guideline, the ATO has confirmed that image rights structures are legitimate vehicles for the exploitation of images and associated rights for sports stars, for tax purposes and provided a Safe Harbour of 10% of lump sum payments for sportsman’s services to be applied to income for image rights. taxation implications need to be carefully considered on an individual basis, including the possibility of a CGT liability. Lawrence, Stephen and Bennett, Michael. Image rights in Australia: Fair game or foul ball? Taxation in Australia, Vol. 51, No. 9, Apr 2017: 487. Blackshaw, Ian. The Island of Guernsey to Introduce New IP Image Right. The International Sports Law Journal, Vol. 1-2, January-April 2010. Jahanshani, Nicole and Drew, Jeremy. HMRC poised to tackle sporting image rights, International Law Office, 27 January 2011.